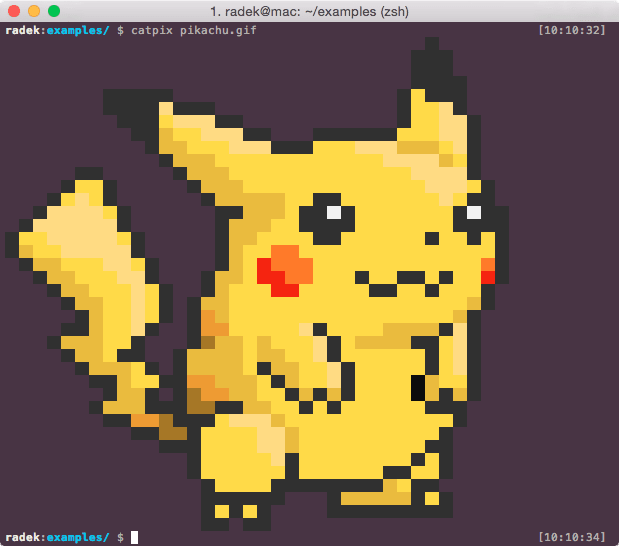 As well as making your terminal more colorful through your shell prompt theme, font, and color settings, you can add even more features by using Ruby gems, such as artii, lolcat, colorls, and catpix. This gem adds a rainbow gradient to anything that you pipe through to it. The image at the top of the post pipes ASCII art text generated with the Aarti gem through lolcat to create a colorful heading in the terminal. You can combine extra bash commands to animate it, in this case echo to print the string passed to it, -a to animate, and -d for duration. 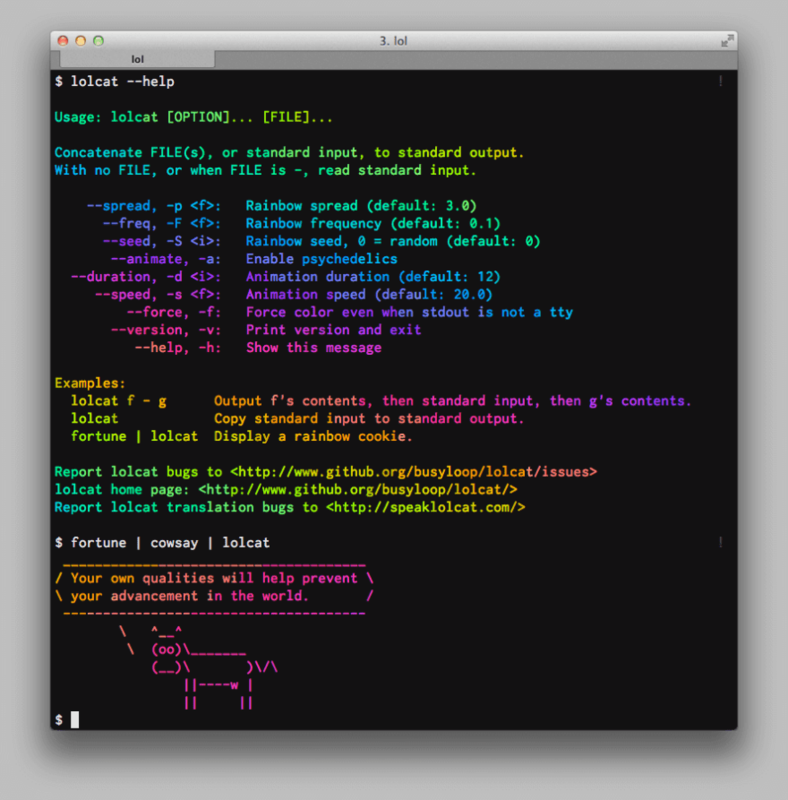 There is a gem based on lolcat called Lolize, which adds the rainbow colour to Ruby output. One use of it is to generate more colourful logs for your Ruby on Rails projects. This enhances the terminal command ls with color and icons. Below is a screenshot from its Github repo. This configuration is an iTerm2 terminal (Mac OS), with oh-my-zsh with powerlevel9k theme and powerline nerd-font + awesome-config font with the Solarized Dark color theme. You can make it as easy to use as ls by adding an alias for lc to your ~/.bashrc or ~/.zshrc file. 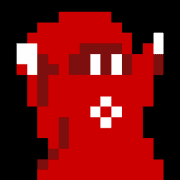 This converts images to a format that can render on a terminal screen. You can try having an image loaded into your terminal when it starts or when there is an event — for example when your tests pass. These are just some of the Ruby gems that can enhance your terminal, and learning how they work means you can customize your command line. You could even take it further by adding a special setup for irb and pry, such as irbtools. 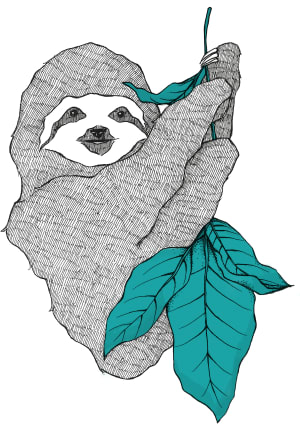 Ruby is a high-level interpreted programming language, so can be slower for certain tasks than compiled and lower level programming languages. 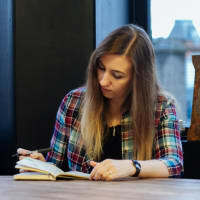 If you like the idea of these, but concerned about speed, then you might find some alternatives written in languages such as Bash, Rust or Go. I'm not sure why artii even exists. It seems to be an exact clone of figlet - is it just for the sake of making everything into a Ruby gem, like the deluge of packages we had a couple of years ago when people discovered they could get Internet Points for rewriting everything as a node package? 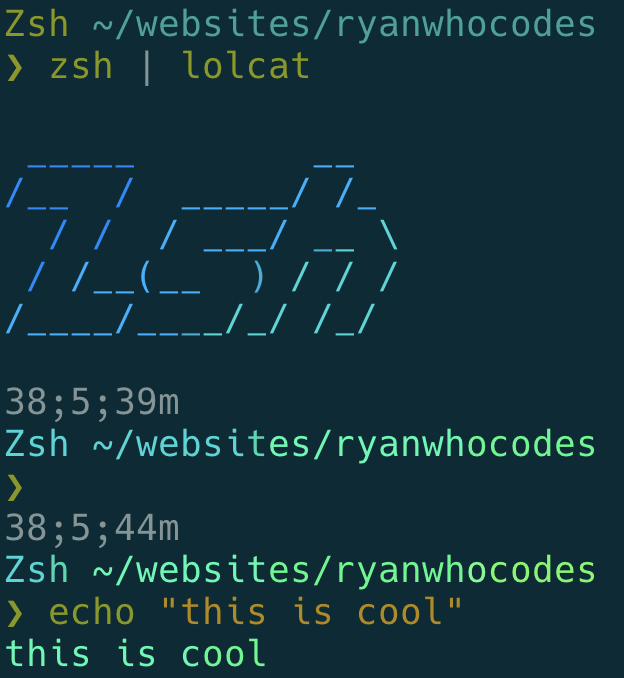 Something I learnt recently is that you can make your life amazing (or perhaps "hell") with bash | lolcat. I'm sorry. ls -G is normally my bash alias for ls to enable colored output. It is a lot faster than the colorls gem, and so I normally stick to that. But colorls is fun to try if you like icons, and might be more practical if it was ported to Go or Rust. With regards to figlet - that is more performant than artii and has a wide range of options and fonts, so agree with you on that point.